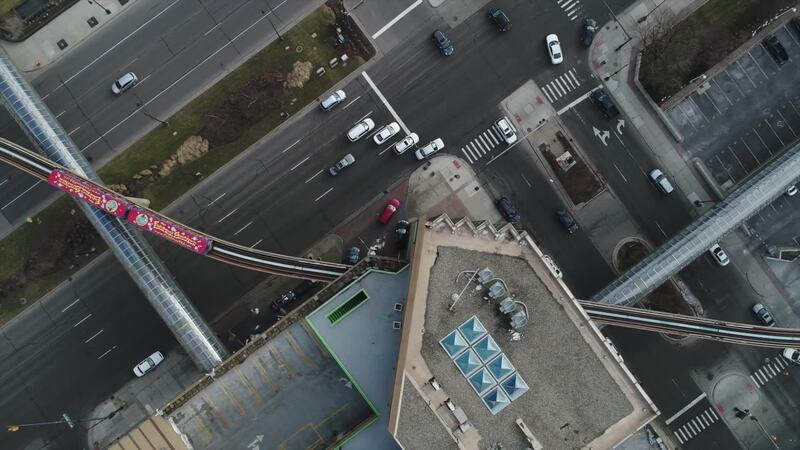 This drone video from Detroit, Michigan will amaze you. Contributor Reel Aerials used a DJI Phantom 4 drone to give you a top-down look at the Renaissance Center, the most visible landmark on the Motor City skyline. The center consists of seven towers, the tallest of which is the city's highest skyscraper. Opened in 1977, the 73 story central tower has a height of just over 220 meters (727 ft.). Conceived by Ford scion Henry Ford II, it now serves as the headquarters of Ford's arch-rival General Motors. Description: Detroit Drone Footage, Featuring the cities "People Mover". Shot with the DJI Phantom 4 Pro and edited on Finalcut Pro X. Follow @reelaerials_detroit on Instagram or check us on out Vimeo or Youtube! Cheers Friends!